I have been bugging my hubby for quite sometime about the unfinished remodeling project that we started on our house. The main problem is that he contracted Lyme Disease a few years ago and he has been in a lot of pain, especially in his back and legs. It has made it really difficult for him to go up and down the stairs. He recently hired his grandson to start working on the remodeling projects and the most ambitious is making an extra bedroom and bathroom up in our attic to take advantage of all the room there. 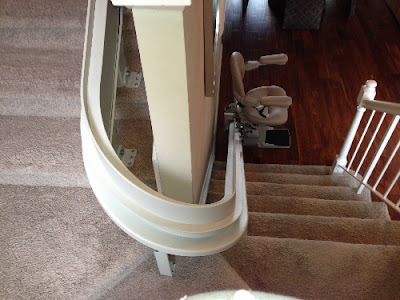 There was a pull down attic stairs in the house when he bought it but it is very difficult for him to get up and down on that now. We just bought materials to build a stairway up there but due to space limitations, the stairs will have to be very steep. He is thinking that if his Lyme Disease problems continue to get worse, we may end up having to install a stairway lift in order for him to get up and down. This link can give you a lot of good information if you are interested in stairway lifts for your home.